During the divorce process, jointly owned property must be identified, valued and divided. In short-term marriages, this can be a relatively simple and straightforward procedure. In longer-term marriages or those involving significant assets, property division can become much more complex and contentious. To protect your assets and your rights, representation by an attorney knowledgeable in property division matters is essential. Edwards Family Law has successfully represented numerous clients in all types of property division disputes, including cases involving complex assets and large marital estates. We will work to protect your rights and assets and to achieve the best possible settlement for you. The first step in the process is to identify what is truly marital property (and therefore jointly owned) and what is separate property. This can become more difficult the longer a marriage lasts. 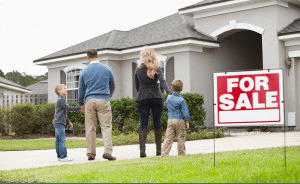 The lawyers at Edwards Family Law understand the law as it applies to property division. We also understand how to identify what is separate and trace its transformation into marital property. In Georgia, judges can differ significantly in their approach to the issue of property division. Our lawyers have experience with the local judges and understand how to persuasively present you case to the court. Edwards Family Law has extensive experience handling cases involving complex property division issues. Division issues can be complex when the value of the assets is high or when the case involves the ownership of businesses. When necessary, we can call upon forensic accountants, financial analysts, business valuation specialists and others who can provide testimony in support of our client’s case. Our firm will work to protect your assets and your rights at all stages of the process. Our goal will be to put you in the strongest financial position possible at the time of your divorce.